(CNN) -- A bus carrying Togo's national soccer team to a tournament in Angola came under fire Friday, and Togolese officials said they were weighing whether to pull out of the prestigious Africa Cup of Nations, which starts Sunday. There were conflicting reports on the casualties. 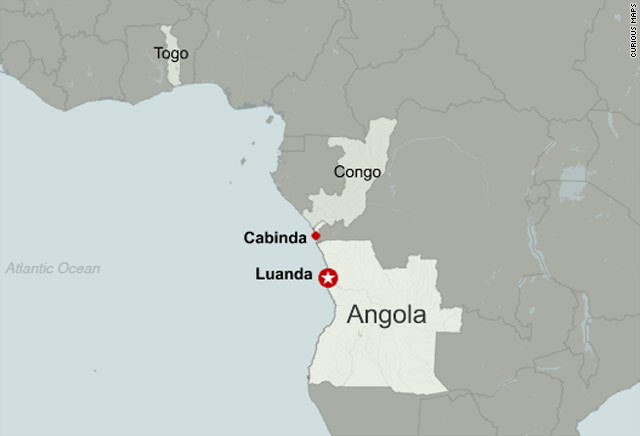 Angola's official press agency, ANGOP, reported nine people were wounded -- eight Togolese and one Angolan. Earlier, Togo striker Thomas Dossevi, who was on the bus, said the bus driver was killed in the attack and three others were injured. An armed wing of a separatist group -- the Forces for Liberation of the State of Cabinda -- claimed responsibility for the attack. CNN cannot independently verify the claim. Dossevi, 30, who plays for French league side Nantes, told CNN "armed rebels" with AK-47s had opened fire. "We hid below the seats -- we had police protection in front and behind but we were attacked from both sides. As soon as I heard the bullets I went to the floor ... the attack lasted for 10 to 15 minutes. "Everyone is at the hospital, the whole team, as everybody wants to be with the injured players. We're waiting to get police protection so we can go to the hotel and sleep," Dossevi said. The team was headed to Angola for the competition when it was attacked near the border between Angola and the Republic of Congo, according to the Manchester City Football Club in Britain, who had one of its star players on the bus. "Manchester City can confirm that striker Emmanuel Adebayor is uninjured after this afternoon's attack on the Togo team bus in Angola," a statement on the club's Web site said. "Club officials have spoken with Adebayor and though shaken by the terrible events, he is unharmed." "We are currently in talks with the Football Association over what may happen next," the club said. Togo is scheduled to play Ghana on Monday in Cabinda, which is one of the tournament venues. Cabinda is a disputed, oil-rich enclave located within the Democratic Republic of Congo. A strip of that nation separates it from Angola, one of the world's largest energy producers and a major supplier of petroleum and liquefied natural gas to the U.S. market. Manchester City Manager Roberto Mancini expressed condolences for the injured players and their families. "Our thoughts are with the Togo team, their Football Association and the people. We send them our best wishes at this traumatic time," he said.